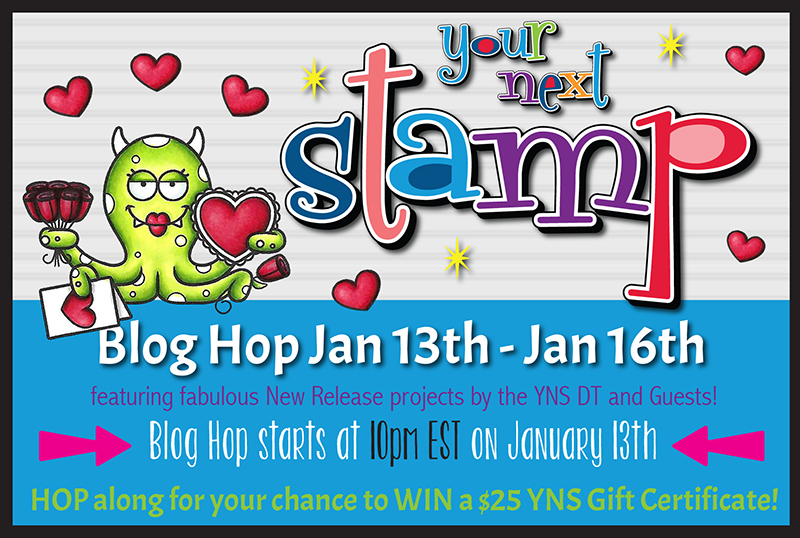 Trinity Rose Designs: Your Next Stamp January New Release Blog Hop!!! 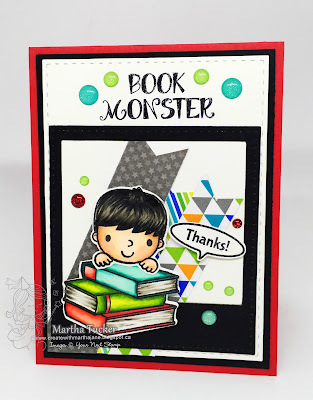 Welcome to the January New Release Blog Hop at Your Next Stamp!! This is such a Fabby release! My Favourites are the new Book Mark Dies! The possibilities are endless, and I can't wait to create more with them!! Here is my inspiration for you with this fantastic release! Just check out the Banner below for all the details!! 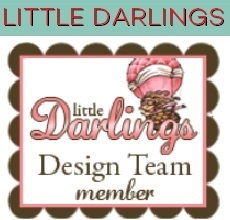 Your Next Stamp Online Store!! Ohhhh, I love the pink and gray palette on your first card! So beautiful! Also, beautiful coloring on your penguins and "book monster"!! love your color combos and the book one is just so great!! Love your penguin card, great coloring and being an avid reader, I LOVE anything to do with books! Such wonderful coloring Martha. I love the gel pen dots on the Penguins. These penguins are adorable, i really like how you have coloured them darker. 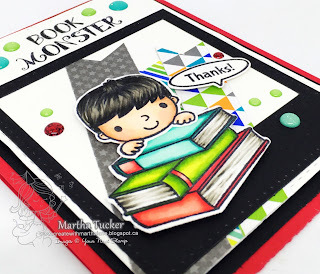 And the book monster, I can see so many uses for this stamp set! absolutely amazing as always my friend! Your cards are so fabulous! I love the pretty color combo of pink, black & grey. Love how you colored the gorgeous penguins. And the 2nd card - L*O*V*E! Love a rainbow of color. Sooo cute! Both of your cards are adorable! LOVE the penguins! Well I love the gray,pink & black combo on your first card! Those penguins are super cute! Also love the book monster...so cute and such bright cheerful colors! Wow! Great cards! I love your coloring on both the penguins and on the Book Monster.... Love love love! Love your sweet cards—especially the one with the adorable penguins! So sweet and cute. Thank you for sharing! Oh! The penguin card is just darling! The grey base is a neat touch. Both cards are adorable, but I'm in love with the little penguin couple! Great coloring, Martha. Very cute. I like the framing on both. I especially love the penguins! Your cards are super-sweet! Wow! Both cards are just darling! I especially like those cute penguins! Wow! What amazing cards! Love the penguins with pink and gray, and I adore the second card....I teach elementary reading. These are both so adorable!! That second one is too fun; love the bright colors. Very cute! Love the book card, you don't see that theme often. Wonderful cards - the black and pink work so well together on the first and the second is a fun mix too. I'm so in love with your penguin card!! They are perfectly colored and I love the color combo you used! Omg, those Penguins. So darling. That monster of a reader card is perfect. Love the penguins so cute! Fabulous cards! I specially love the penguin card. Love your cards. The images are so beautiful! Love your cards! Your coloring and use of color are fabulous! These are really fabulous cards! I really like the gray pink theme on the 1st and the wonderful book idea on the last. Very sweet cards!! I love those kids and books!!! Beautiful coloring too!!! those are so beautiful cards!